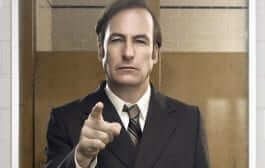 While I do have some complaints, let me address Travis first. I have really come to enjoy Travis as a character. He reminds me of Eastman in a way from season six of the Walking Dead. Even though the world is gone, he still has a sense of moral code. I’d like to think that I’d be the same way if I were in the same situation. Sure you could go into anyone’s house, kill them and take what you need… but for Travis, you shouldn’t. You should respect their home and steer clear. For Travis, there’s a line between being a good person trying to survive and a bad person trying to survive. He doesn’t want to cross that line by killing an innocent person and I admire that in the character, along with the confliction he feels for his son Chris. 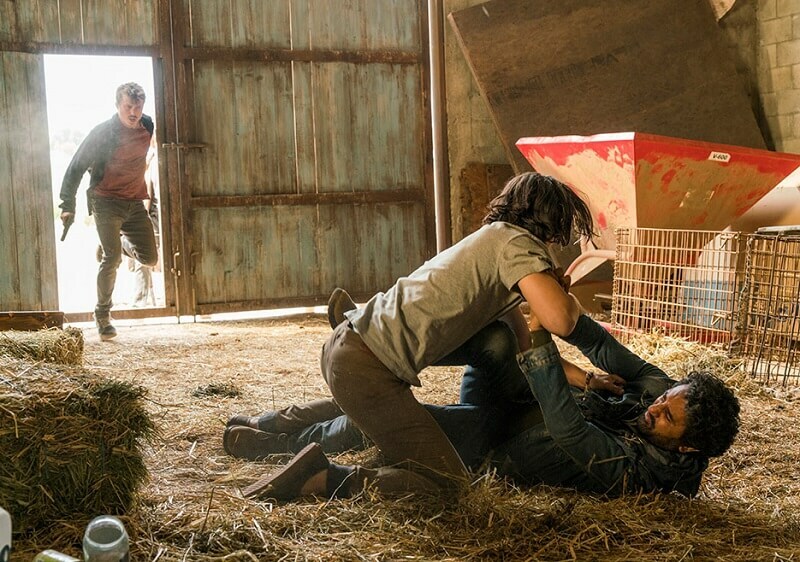 The scene in the barn with Brandon and James was an intense one. Ultimately, I feel like they could have just left James as opposed to killing him, especially given the amount of time they knew him but hey, that wouldn’t be good TV. 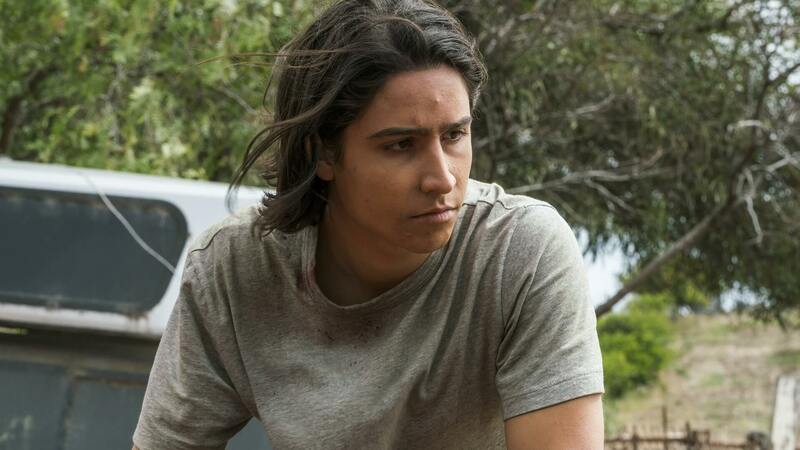 I will say, that I do like that there has been no turnaround for Chris in Fear the Walking Dead. I mean, how dirty was that plan in this episode when he grabbed his father so the others could rush in? When the mid-season finale aired and Chris went off on his own with Travis following, I fully expected for Travis to find him and bring him back from the edge. I think it’s pretty clear here that it’s not going to happen. Chris believes everything he’s doing is right and he’s not broken, and I like that. When it comes to events at the hotel, I have mixed feelings. Alright, so Madison turned the lights on in the dead of night in hopes of attracting Nick. 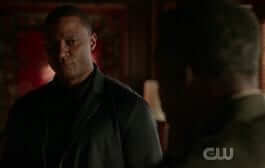 While I certainly understand wanting your son back, you just jeopardized the entire place on a whim. Now, people are at the gates wanting to get in. Is there only one gate into this place? This must be a hotel built by Trump. I have never been in a post-apocalyptic situation but… I feel like if I couldn’t get in the main gate… I would look for another way. Clearly, no one at the hotel had weapons… if you’re that desperate for survival , they can’t all take you out with an axe. At the very opening of the episode, Madison notices Travis through the mob at the gates of the hotel. At this point, the world has ended for awhile. Food, shelter, and safety are scarce. Yet no one tried to push through the gates when Travis came through! They could have easily overpowered everyone at the gate, so why didn’t they? Then later in the episode, all the people trying to get in are already within the complex as if it was no issue letting them in. Despite the security of the hotel, the wall for it can’t extend all the way to the water… They couldn’t just walk around the gate?? It feels silly when there is a completely open side to the hotel and survivors are at the gate, desperate to get in as if there was no other way. Madison also finally revealed the truth about Alicia’s father. 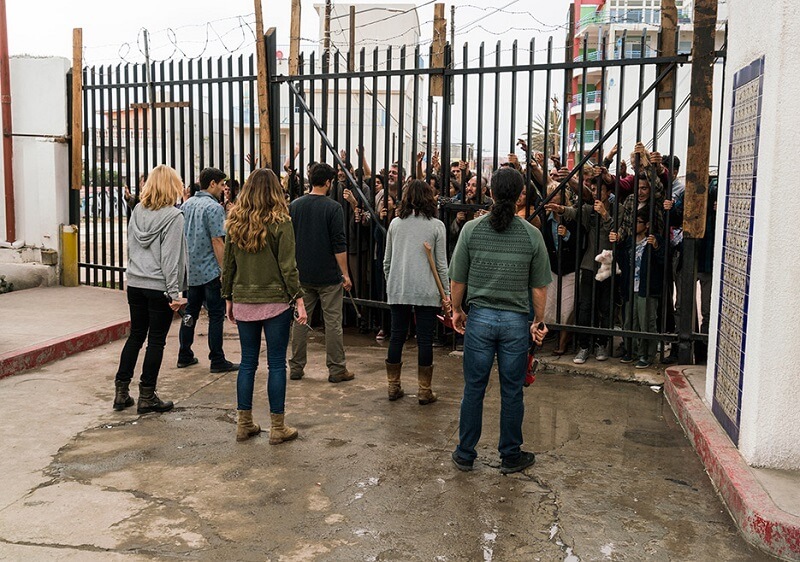 We were able to surmise over the course of the Fear the Walking Dead season that it was not an accident like Nick was told initially. First I thought, did this conversation really need to happen right now? After watching the scene again, I feel as if I understand more. Travis lost Chris and Madison and does not want to lose Alicia which brought some elightening to Madison. She always felt that Alicia was the stronger child and didn’t need the same attention that she felt Nick did. The last tease of trouble came again at the end of the episode. Brandon and Derek show up at the gates of the hotel and again… Chris is gone. At this point, I feel Chris has to be done on Fear the Walking Dead. We’ve established for the most part, that he’s not going back to the way he was. He’s ditched his father to form a three stooges of the apocalypse with the other two and now he’s missing again. Hopefully, enough is enough with these teases and he’s finally done. 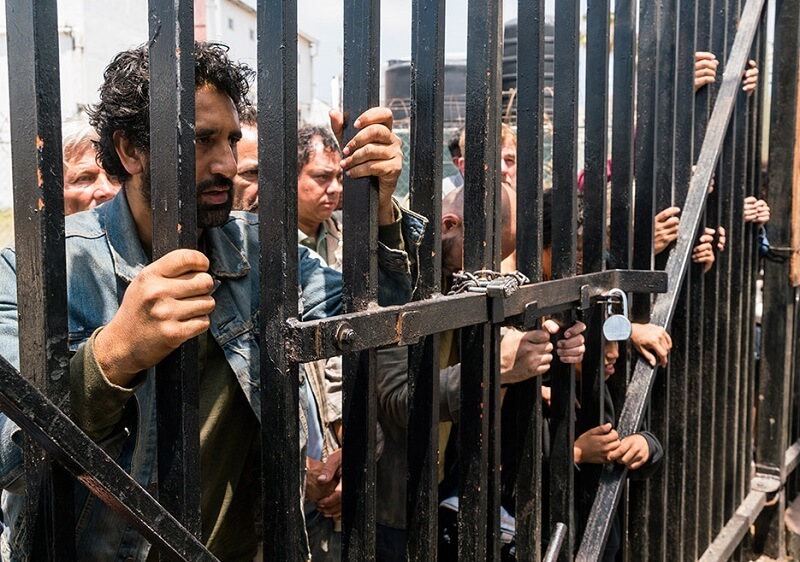 Did you see this week’s Fear the Walking Dead? If so, what did you think? Do you think Chris is done for good this time? Be sure to let us know in the comments below and check back next Sunday for our review of the all-new episode “Wrath.” Also, here’s my cheap pop for the week. If you’re in the market for a mouse, check out our review of the Corsair M65 Pro. I actually use this mouse and love it. Refugees flood into the hotel, including an unexpected refugee from our group. Madison struggles to cope with the situation. Does the hotel only have one gate? Why did James need to be killed?